System designers are usually aware of the specific differences between these types of pressure measurements. The pressure of interest is being measured relative to ambient barometric, full vacuum, or a sealed reference chamber, respectively. The reference side of the pressure diaphragm1 must be vented to the local ambient environment. 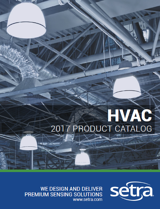 In cases where the local environment may include splashing water, oil mist, dust, and other contaminants, the vent must be protected from exposure to these elements. The components which sense the pressure are typically resistive or capacitive sensors located on the reference side of the diaphragm, along with the circuitry, and exposing them to moisture or contamination could lead to performance degradation. In absolute measurements, the reference side of the pressure sensing diaphragm is hermetically sealed in a vacuum and therefore isolated from any environmental contaminants. Theoretically, absolute sensors also have better thermal performance than sealed gauge units, because there is no trapped volume of gas to expand and contract with ambient temperature changes. Sealed gauge pressure sensing, referenced to 0 psia. The reference side of the diaphragm is sealed at full vacuum, completely isolated from the environment. The zero output occurs when ambient pressure is 14.7 psia (theoretical 0 psig.) This type is immune from both environmental damage and from sealed gauge unit errors due to thermal expansion and contraction of gas in the reference chamber. 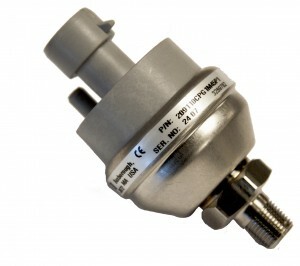 Sealed gauge pressure sensing, referenced to 14.7 psia. The reference side of the diaphragm is completely isolated from the environment, sealed at a fixed pressure. The transducer is calibrated so that the zero output occurs when ambient pressure is 14.7 psia, and the ambient temperature is 75°F. Since the pressure on the reference side of the diaphragm is not zero, the expansion and contraction of the gas due to ambient temperature changes can result in measurement errors. Setra provides several options for venting the reference side of the pressure sensing diaphragm to ambient pressure. Venting through a separate vent tube. Setra's Model 209 offers an optional dedicated vent port. A vent tube is attached and routed to a clean, dry area. This also allows the completely sealed transducer package to be placed in a harsh environment. On versions with integral connectors used for lead only (no cable jacket) wiring, venting occurs through a small vent hole in the cover or the dedicated vent port. (For example, the Model 209 with the integral Packard connector.) In this case, the system designer is responsible for ensuring that the transducer is not mounted in an area where it may be subjected to splash, spray, or other contamination. The unit is not considered to be sealed from the environment. 1 In virtually all modern pressure transducers, pressure is measured by monitoring a diaphragm which is being subjected to the test pressure on one side, and the specified reference pressure on the other side. CLICK HERE to learn more about the Model 209.